Having returned once again to Los Angeles, Calif. to prepare for the next edition of the Cultural Links magazine, I shared with the Believers and visitors at Muhammad’s Mosque No. 27, under the tutelage of Minister Tony Muhammad, some of my spiritual experiences traveling to some of the cities in which the Honorable Minister Louis Farrakhan addressed several thousands of people in separate venues. He spoke on the relevant issues that are occupying many of our people’s minds today concerning the subject of reparations, our youth and family relations, the political condition and climate of our country and the world, and our duties to self and nation in being self-sufficient and striving towards morality in the midst of a decaying world order and government. He spoke in Baltimore, Md. on reparations and the unification of family. Two weeks later, he addressed an all-men’s meeting in Detroit, Mich., and one day later he spoke to public leaders, educators, politicians, Christians and Muslims alike, and to the youth and the elderly. He was invited by the African American Men’s Organization supported by members of the city council, religious leaders and the mayor in a city that boasts 85 percent Black. It was a celebration of family on the subject “Black Men Taking Responsibility: A Plan of Action.” All the while, my mind was fastened to the historical overtones and memories on the subject that I had been sharing with our readers in these last several articles regarding the escape of the Most Honorable Elijah Muhammad from a death plot and the evidence that he lives. I wondered what association or link this has with the history of the Honorable Minister Louis Farrakhan, walking in the footsteps of the history of the Most Honorable Elijah Muhammad. In recalling the circumstances of the Most Honorable Elijah Muhammad’s departure, I wished to return to the discussion of my witnessing certain events that took place at that time and the series of dreams I have had thereafter concerning the scientific explanation of his escape. I am reminded of a particular letter written by the Most Honorable Elijah Muhammad to Brother Jabril Muhammad, who was known then as Brother Bernard Cushmeer, in Phoenix, Ariz. in 1966, concerning this same subject of his escape from a death plot. I will quote a portion of this letter, with all due respect for the subject matter at hand, in as much as it connects to the exact words that the Most Honorable Elijah Muhammad shared with me in my dreams. In my dream that occurred in the early 1980s, the Most Honorable Elijah Muhammad spoke to me in almost the same words on this subject of his escape. He told me that they came and took him to a particular place, and from there he was taken to another place. The next evening, I was shown what I believed to be the place where he was taken. In the Honorable Minister Louis Farrakhan’s vision-like experience in 1985, it was confirmed for me the place where he was ultimately taken, which was aboard the Great Ship which is called the Mother’s Wheel. We will note that the Honorable Minister Louis Farrakhan’s testimony on this subject of the Most Honorable Elijah Muhammad’s escape from a death plot was delivered at our first Saviours’ Day celebration in 1981 in Chicago. This came approximately three-and-a-half years from the time that he took his stand to rebuild the Nation of Islam circa 1977-1978. 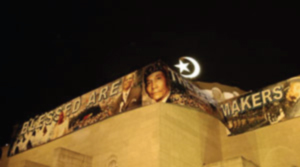 In this connection to the 1981 Saviours’ Day, the Most Honorable Elijah Muhammad’s letter to Brother Jabril Muhammad refers to the 81st Surah of the Holy Qur’an, entitled “The Folding Up,” verses 15-25. 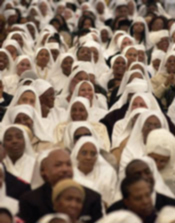 In Daniel’s prophecy of the 70 weeks (years), as the term determined upon God’s people, covers in our historical context of time, the extended period of 70 years of grace indicated by the Honorable Minister Louis Farrakhan as the fullness of the time since the departure of Master W. Fard Muhammad in 1934. The Most Honorable Elijah Muhammad escapes from a death plot in 1935, which would bring us to another timeline of 70 years to 2005. Daniel’s prophecy is revealed in Chapter 9 beginning with verses 24-27. Daniel is a book of the Apocalypse, which means “unveiling.” And so it is in our search for truth, may this testimony add to our storehouse of knowledge, wisdom and understanding.